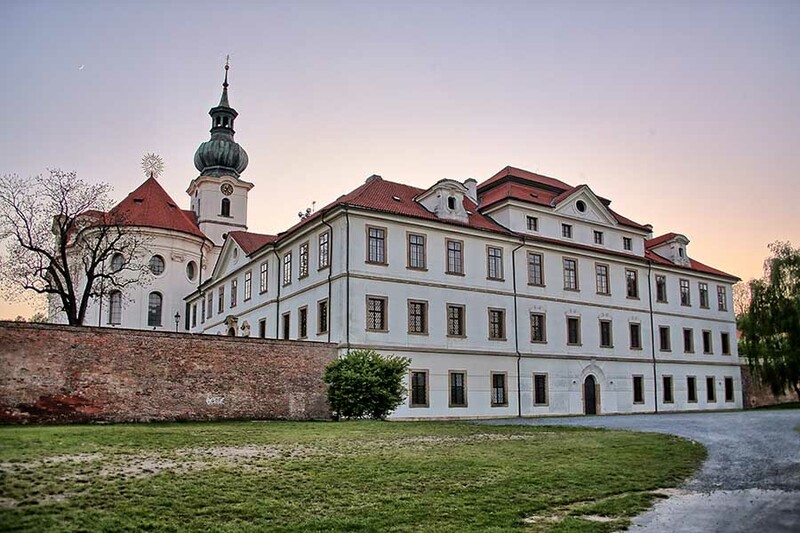 An early morning walk in the monastery gardens is particulary refreshing and inspiring. 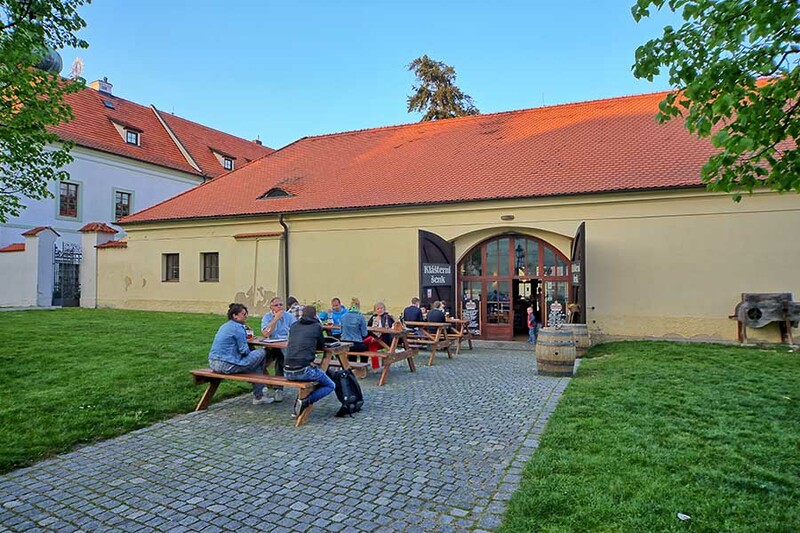 You can also enjoy great Bohemian food and beer in the rustical Monastery Tavern restaurant. Vaclav Havel Prague airport is only 15 minutes by car. Tram no.22 (no.57 at night) which stop "Brevnovsky klaster" is nearby the hotel can take you in 9 minutes to the Prague Castle or to the Lesser Town Square (close to Charles Bridge) in 16 minutes. 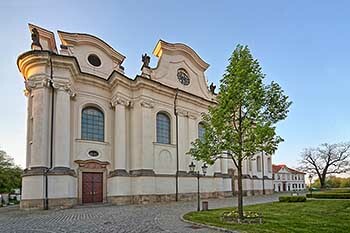 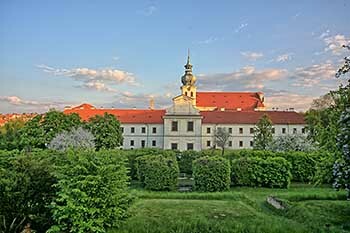 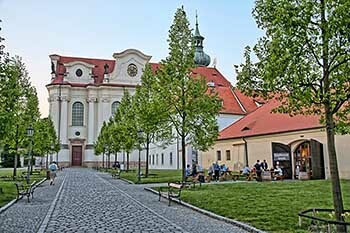 The monastery site was first occupied in 993 and is filled with quiet, beautiful gardens and a unique spiritual atmosphere. 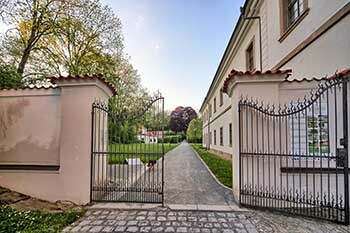 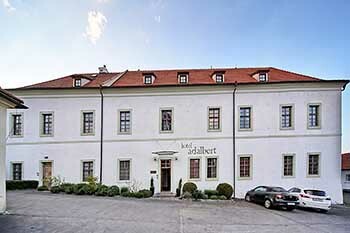 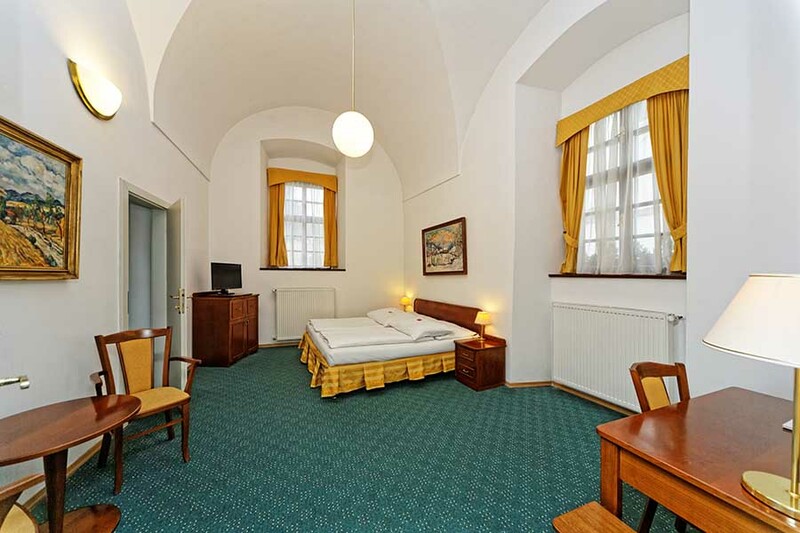 The newly modernised Baroque building of the Hotel Adalbert provides comfortable facilities for all those who love the romance of old Prague. 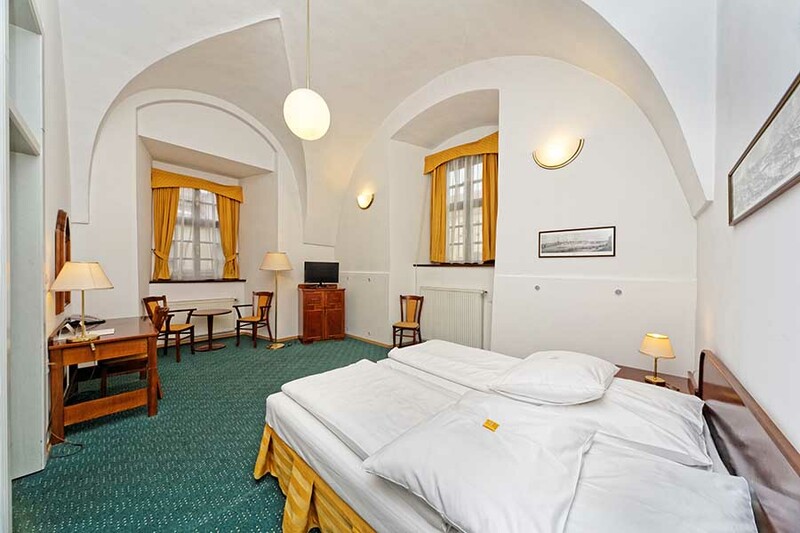 Its unexpected closeness to the centre, excellent parking and the ease of getting to the airport will satisfy every new visitor. 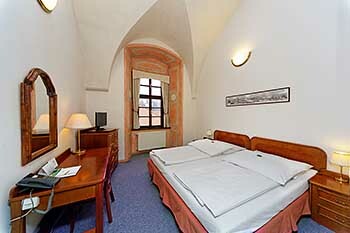 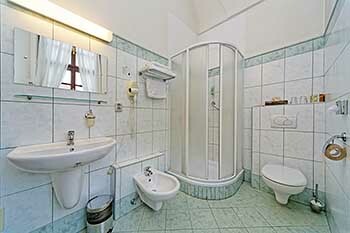 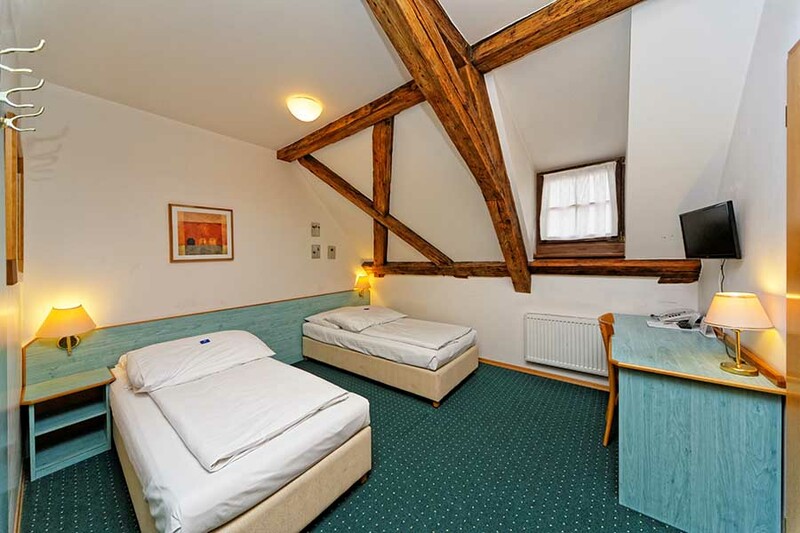 Our capacity is 50 beds, which can be found in 23 single and double rooms and 2 suites. Extra beds can be provided upon request. 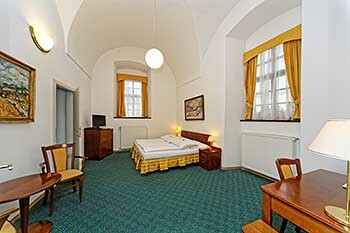 The hotel has one room with wheelchair access and two suites. 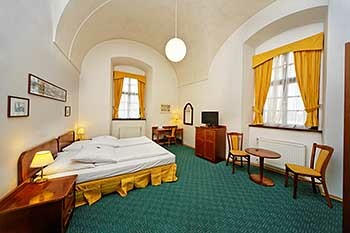 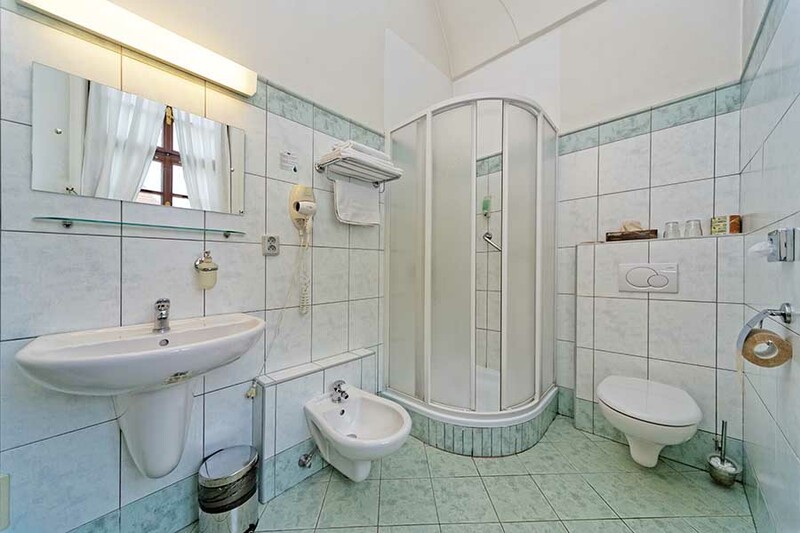 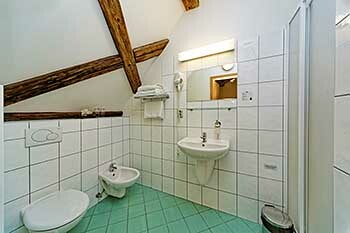 The rooms' comfortable facilities include TV with satellite reception, radio, a telephone, a safe and an internet connection. 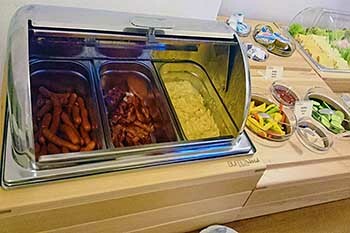 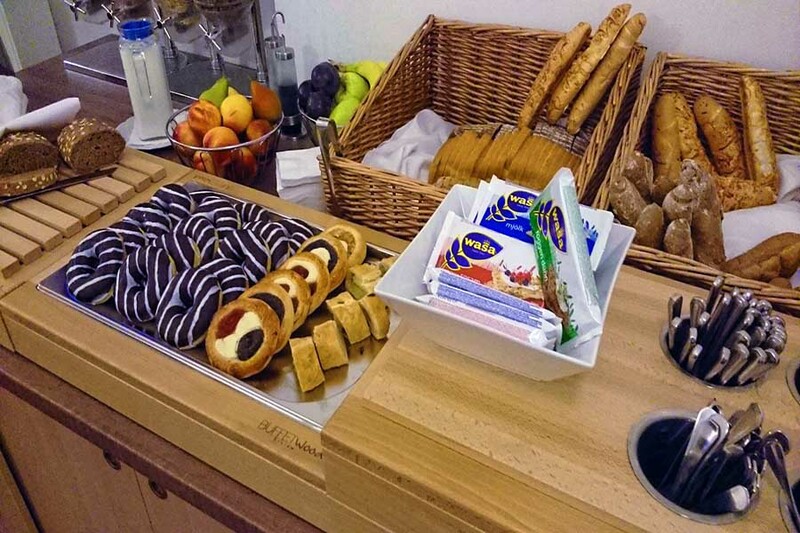 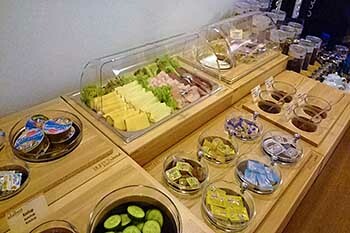 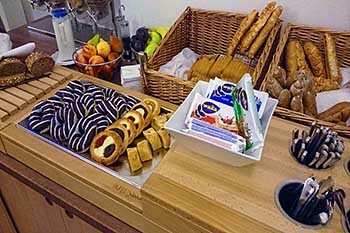 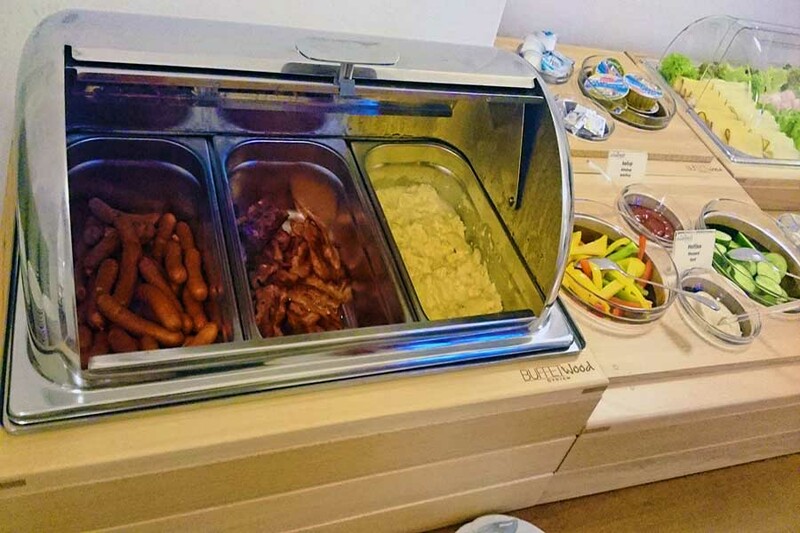 A rich buffet breakfast is served in our breakfast room on the ground floor. We have also a 70-seater conference room, a lounge for 25 visitors and two small lounges on the first floor. 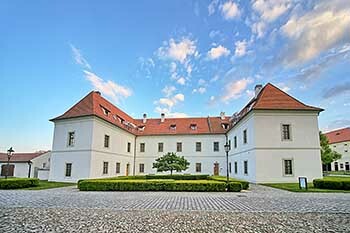 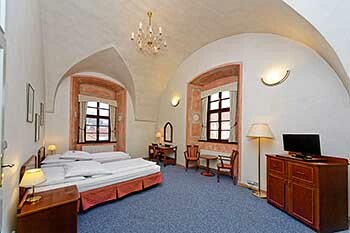 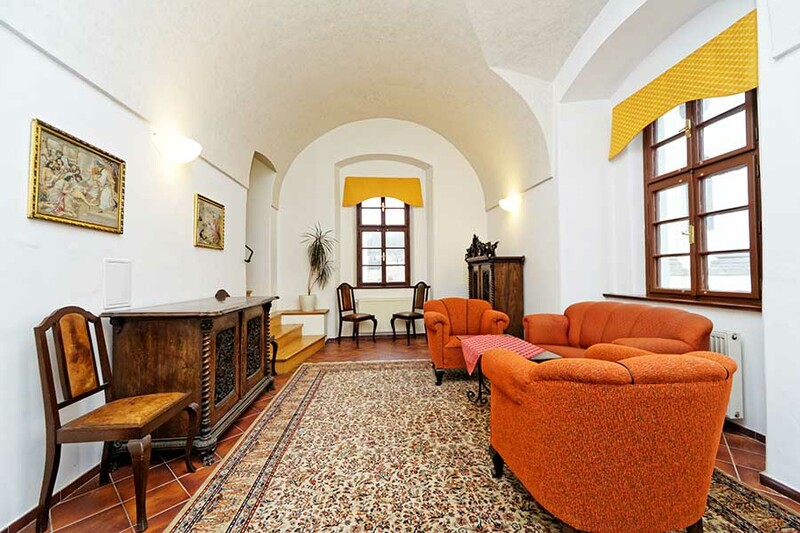 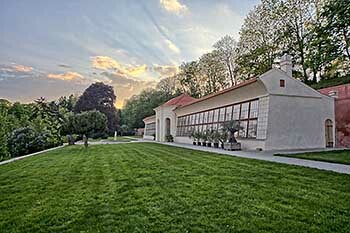 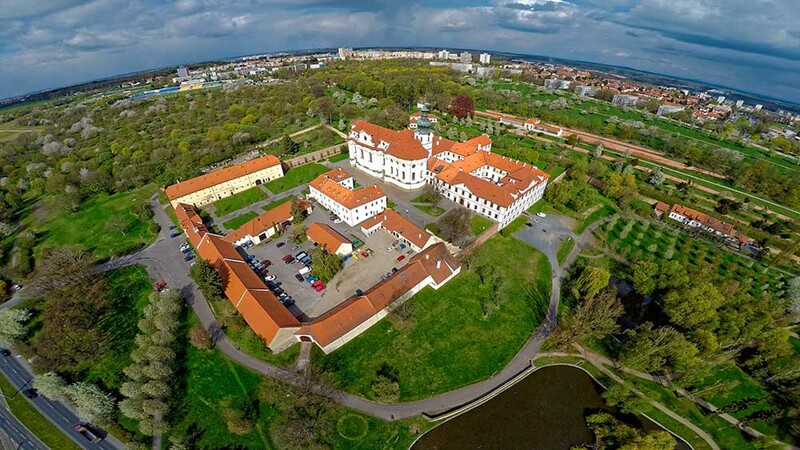 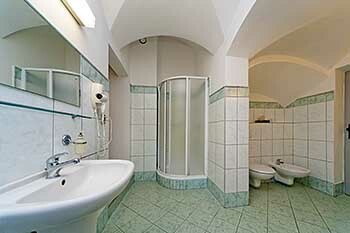 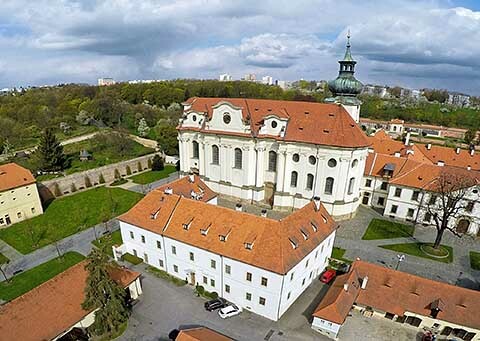 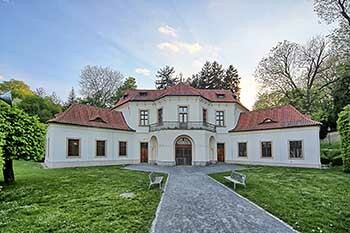 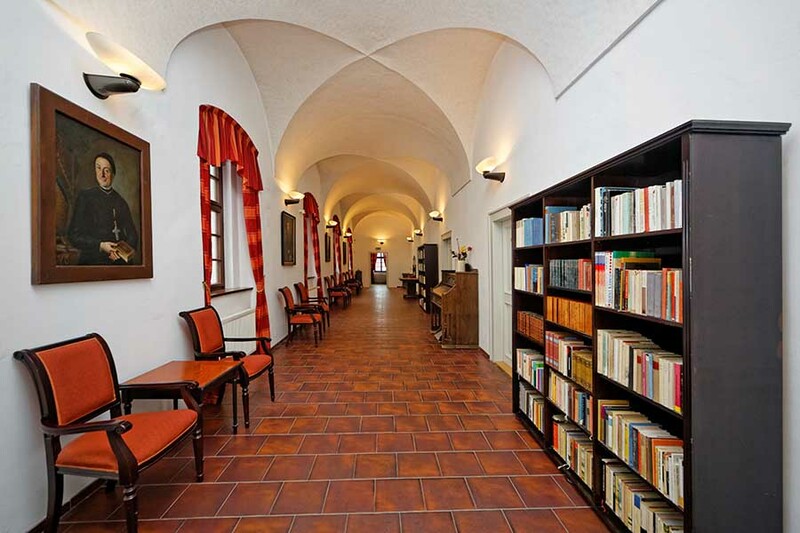 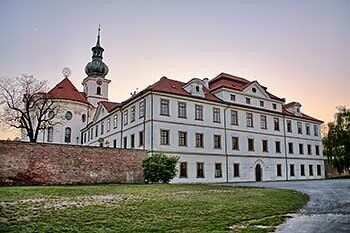 We can also rent out space in the adjacent prestige wing of Brevnov Monastery. 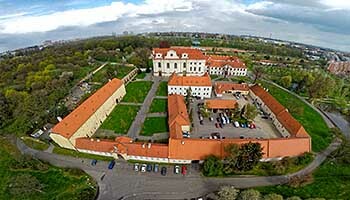 Cars can park on a car park inside the monastery's grouns at no extra charge. For our guests' maximum comfort we offer comprehensive secretarial, reservation and foreign exchange services and we also wash, iron and clean clothes. 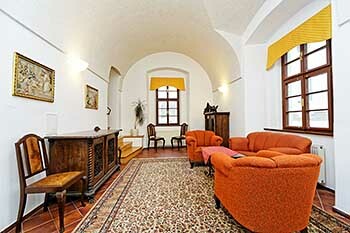 On ground floor there is a computer with Internet access which is at disposal of our guests free of charge. 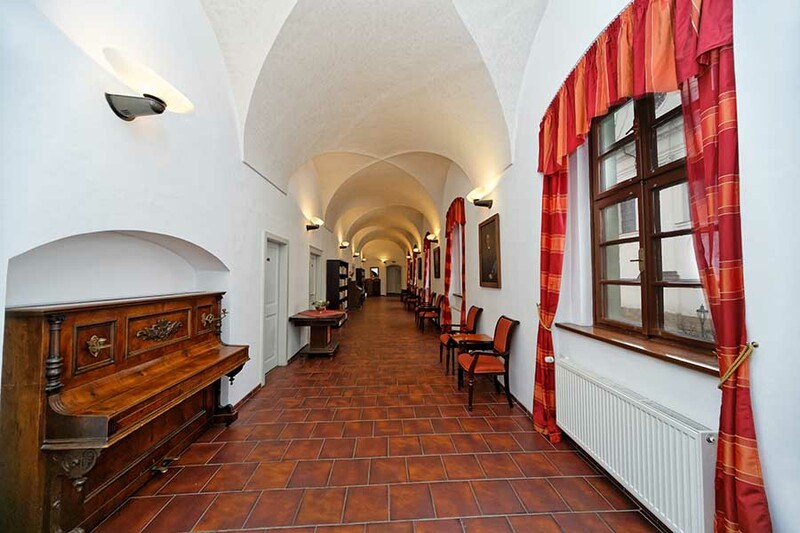 A meal in the Klasterni senk (Monastery Tavern) should really be included, at least once in your stayyou will not be disappointed. Located in the heart of the Brevnov Monastery you have an ideal opportunity to have your meal in a quiet secluded atmosphere. 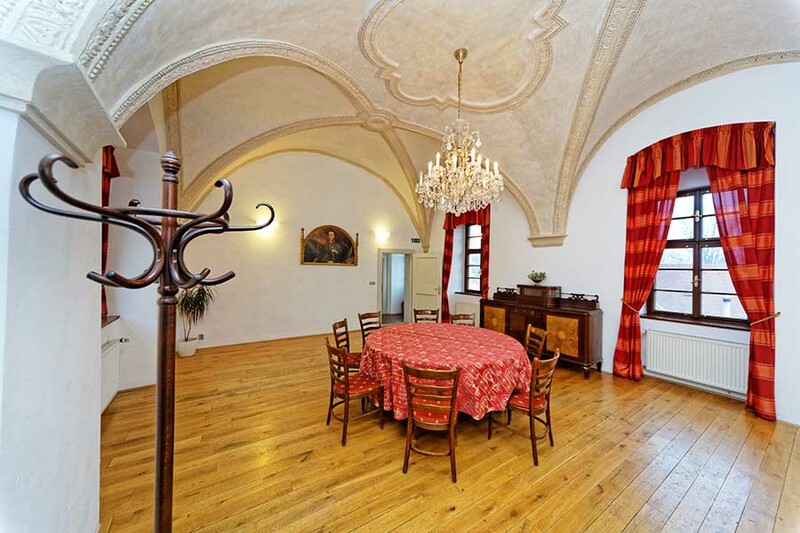 The interior is rustic with an open fire and the menu offers the finest of Bohemian cuisine.